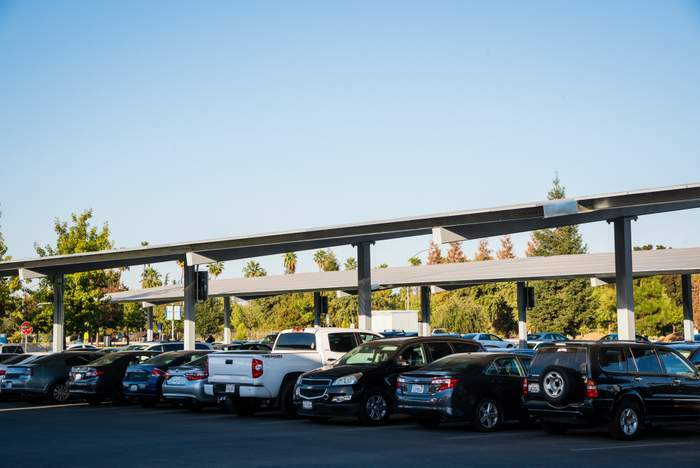 The University of California, Santa Cruz (UCSC) has partnered with ForeFront Power to develop a 2-MW solar parking canopy structure plus energy storage system that will provide clean, reliable electricity to the campus over a 20-year term. UCSC procured renewable energy with ForeFront Power through a streamlined procurement process via School Project for Utility Rate Reduction (SPURR). By utilizing a Power Purchase Agreement (PPA) framework with no upfront cost through ForeFront Power and SPURR, the University will benefit from $6 million in electricity savings during the project term. The solar parking canopy project will contribute to the University’s Campus Sustainability Plan, which includes the goal of installing 4 MW of solar photovoltaic technology on the main campus. Moreover, this project is part of the campus’ strategy to meet the UC’s Carbon Neutrality Initiative, and partnerships like this project, will be a key component to meet this 2025 goal.1 Over 3 million kilowatt-hours (kWh) of electricity from the project will result in more than 2,500 tons of carbon dioxide equivalent avoided from the grid. In addition to the benefits of on-site solar energy, the project will include 1.2 MW of energy storage to reduce peak demand and shift load to times of day when electricity is cheaper. The intelligent use of energy from the storage units combined with on-site solar energy generation helps maximize clean energy generation and enhance on-site sustainability. Since 2015, the SPURR Renewable Energy Aggregated Procurement (REAP) program and the ForeFront Power team have helped over 20 school districts, colleges, and municipalities procure more than 50 MW of clean solar power across more than 100 sites. ForeFront Power will be working with local Santa Cruz based companies to complete the installation. Together, ForeFront Power and UC Santa Cruz will engage in a phased construction approach to minimize impact on students and faculty. Engineers have already begun working closely with UCSC staff to ensure a safe connection to a complex campus grid that includes a natural gas fueled cogeneration plant. The schools will also receive free post-secondary level lesson plans from Schools Power, a leading national education organization that provides schools and colleges with standards-based renewable energy curriculum packages. ForeFront Power and Schools Power announced their partnership in July 2017.